According to report the death of two Nigerians that were killed by another Nigerian early this Saturday has been confirmed by the Nigerian Community in South Africa. 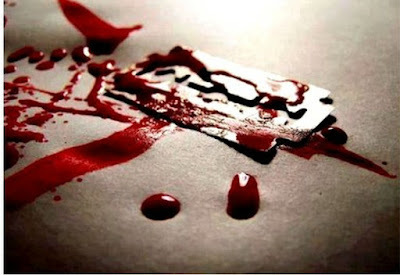 “ We have received a report that at 3.00am on Saturday, Mr Ekweghiariri Chidi Isacc, 34, a native of Ehime in Isiala Mbano Local Government of Imo and Mr Nzechukwu Alabuche, 35, from Azia in Anambra were stabbed to death by one Sunday from Awgbu in Anambra. “ The incident occurred at Rossetinville, South of Johannesburg. “ We understand that there was a business dispute between them, that made the assailant to stab the victims to death,” he added. He further disclosed that the union had reported the incident to the Nigerian mission and the South African police that have already commenced investigations immediately the report got to their notice. He also noted that at the moment the suspect is said to be on the run, but efforts are in top gear to get him apprehended. “ The assailant is on the run while the police have commenced investigation into the incident.The union condemns the killing of any Nigerian and will partner with relevant government agencies to ensure that justice is done in the case,” Ezinteje said. While adding that the police has taken the bodies to the hospital for autopsy.